Klondike Gold Rush which is also known as the Alaska Gold rush was a movement in 1896 to 1899 where 100,000 people moved to the Klondike in Yukon which is a part of northwest Canada. They went there in search of gold. 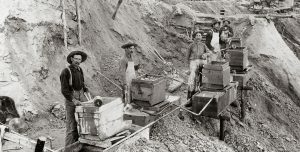 Some local miners named Skookum Jim Mason, Tagish Charlie along with George Carmack found some gold in Rabbit Creek in Yukon, Canada. Soon after that the gold started being discovered everywhere and anywhere and the people started asking for claims. The ones that got the hold of this gold became rich and were known as Klondike Kings. As the news spread to the other parts of the world and this was the start of the Alaska Gold Rush. People started relocation to Yukon. Out of the 100,000 people that left for Yukon, only 30,000 could complete the trip. Since the trip was very tough and the temperature very cold, most of them either died or went back. They had to walk all the way to their destination through the snow with a pack of animals who carried their supplies. 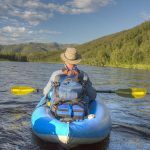 The economy of the United States was not at all good and people wanted easy money and were even ready to walk forty miles of snow covered Chilkoot Pass or the Wild Pass trail to get to their destination. Some of them became sick because they had consumed the meat of a dead animal and died, whereas, many of them became mentally unstable and some others died of hunger and malnutrition. Once some of these people reached the place, there were other difficulties waiting for them. The mining was a big issue. The ore was not at one place but was distributed all over and the digging slowed due to Permafrost. So, some of the miners appointed other people to work for them and they made money buying and selling claims. The movement of as much as 30,000 people lead to the forming of towns all along the trail. 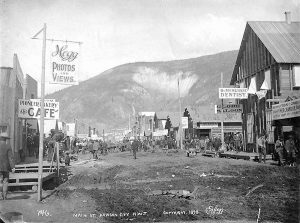 Dawson City was the one town that was formed at the end near the meeting place of the Klondike and Yukon River. Dawson became the largest city of that time with permanent houses and all amenities. It was the first city in Canada to have light. This growth lead to the creation of Yukon territory as a Canadian Province in 1898. More than one billion dollars’ worth gold was found. Many people became rich because of the gold and some others became rich in other ways. A well-known writer Jack London became famous for writing his experience in Klondike. A very sharp business lady Belinda Mulroney became rich by running hotels and providing people with the necessary supplies. Seattle business also flourished in the times of gold rush just because of the supplies they sold for the gold rush. Unfortunately, not everybody could benefit from the trip to Klondike since some of them arrived late and most of the gold was finished by that time. But, there was a new gold field that came into the picture. 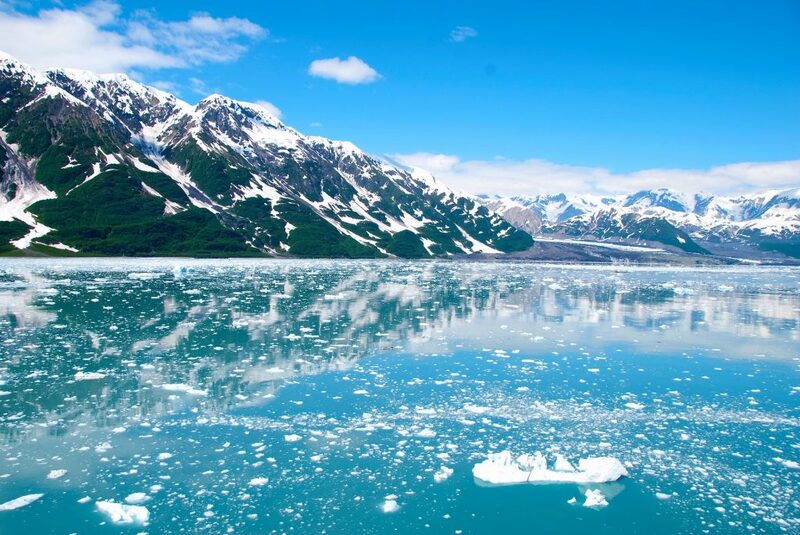 Now, gold was found in Nome in West Alaska and people started going to this new gold field and thus, the Dawson city declined in population once again. 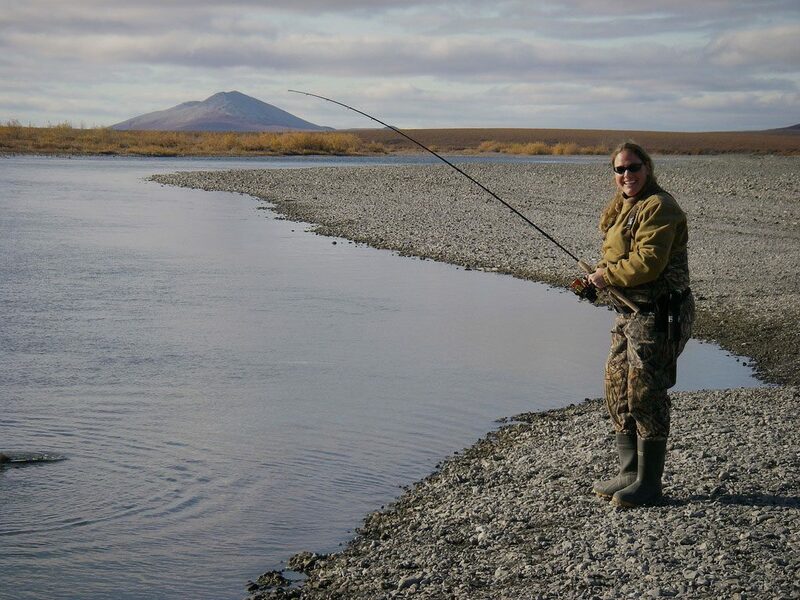 As many as eight thousand people left Dawson only in the first week of finding out about the Gold in Nome. This was the end of the gold rush.